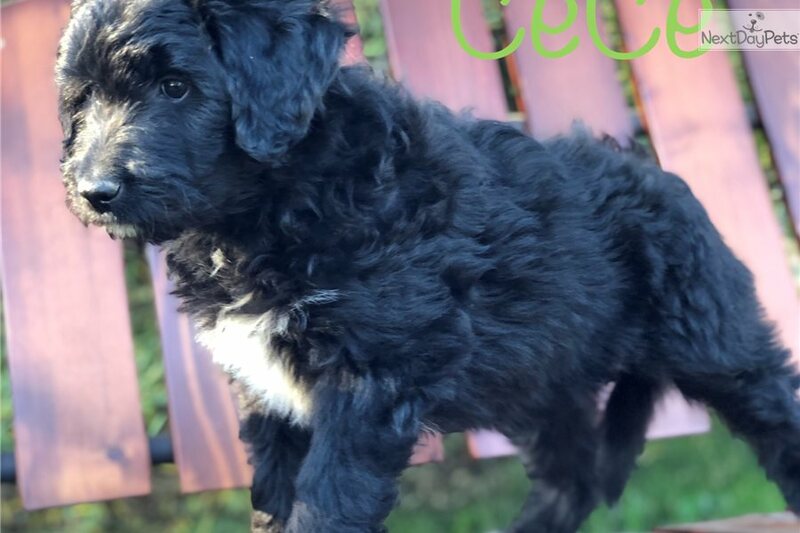 This Aussiedoodle nicknamed Cece sold and went to a new family. Big Cedar Creek Ranch / Whispering Willows Ranch are very excited about this repeat pairing of beautiful F1 Aussiedoodles also known as the EINSTEIN BREED!! Both parents have had complete clear genetic panels done. All our puppies are raised on our farm and will be pre spoiled ! We have 2 blue Merle females available (1800) and 2 black females available (1200). Reservation 300 deposit . They are a medium size breed 30 plus pounds !